Carob powder is produced from the pods of the tree Ceratoma Siliqua (a member of the pea genus) grown extensively in the Mediterranean. It is naturally sweet, contains no caffeine, no theobromine, and no oxalic acid. 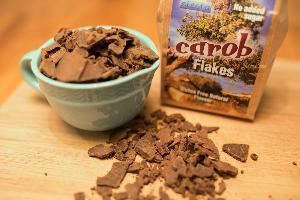 Carob contains the digestion-regulating fibres pectin and lignin. It also contains vitamins A and D together with three important B vitamins and is also high in calcium and trace elements. Once harvested the pods are separated from the beans and roasted, milled and sieved to produce the powder. To produce our carob confectionery the powder is mixed with non-hydrogenated vegetable fats, soya flour and soya emulsifier, (which is tested at source to be GM free) to produce the finished naturally sweet and gluten free Siesta Carob product. 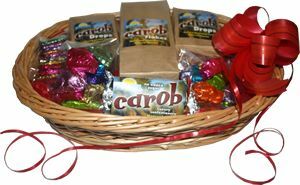 The taste of the carob powder is controlled by the amount of roasting it receives, the longer the roasting, the stronger the taste. The roast in the Siesta recipe specification is light, which retains much of the natural sweetness of the pod and a softer taste. Any flavourings used are natural, not nature identical (we do not use chemical equivalents). No artificial flavourings, colourings or preservatives are used within any of our recipe schemes. 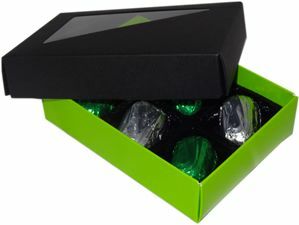 Apart from the popular Siesta carob bars D & D Chocolates also makes a range of seasonal items (Christmas and Easter) to ensure that those who have a need for this product are not neglected. 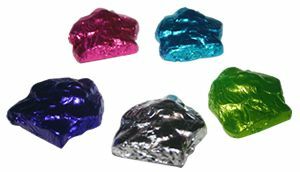 The aim of D & D Chocolates is to produce the most natural and taste acceptable alternative to cocoa based confectionery for those who prefer it to, or cannot eat, conventional dairy based confectionery products. 100g of your most popular flowers formed in naturally sweet Siesta carob. 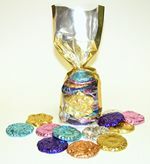 These exquisitely made flowers are wrapped in vibrant coloured foils and presented in an elegant bag.